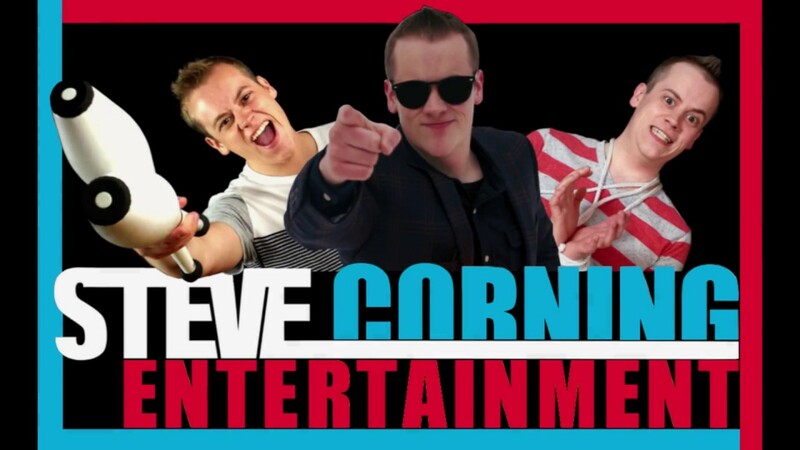 Steve Corning began performing professionally at age 17 and has since brought his unique brand of variety arts and off-beat comedy to theaters and resorts across the country, and even internationally on Disney Cruise Line. 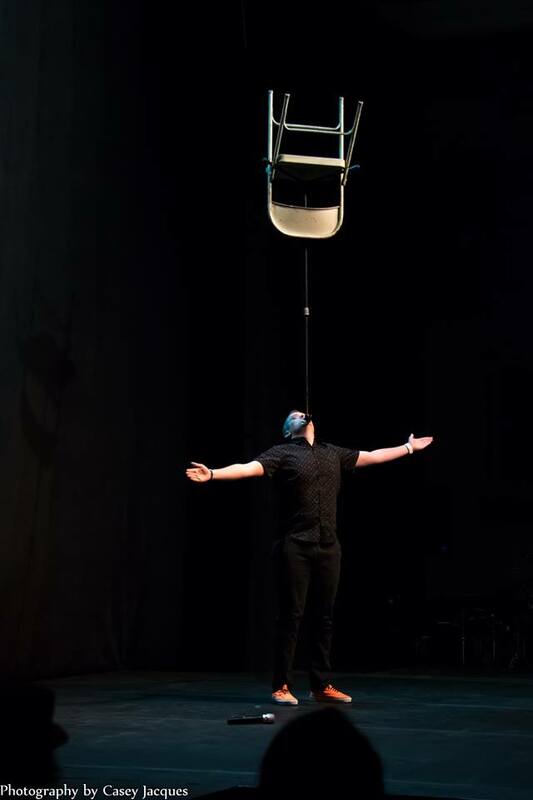 Steve presents a variety show of ultimate proportions, featuring fast-paced juggling routines, mind-blowing escape artistry, comedy magic, contortion, balancing, LED light manipulation, and nearly endless amazing stunts, all mixed with a hearty dose of off-the-cuff comedy. If you're looking for non-stop entertainment and ​laughs for the ​whole family, ​this show has it all! Juggling workshop at Gardiner Library. 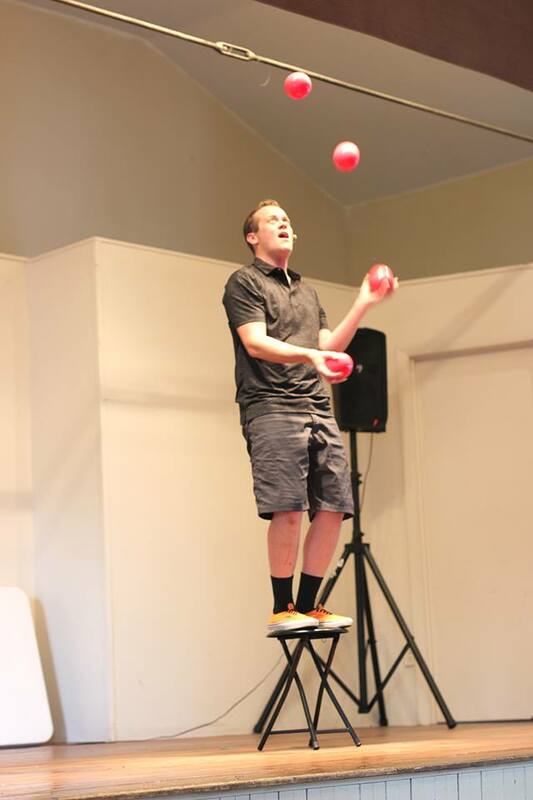 I was at the Gardiner Library last week when you held your juggling workshop. You were very impressive as a teacher and mentor to the children. Your patience and helpfulness was wonderful. My grandson, Trey Booty, really looked up to you as mentor. Young men like yourself are what most parents and grandparents like for growing kids. Thanks again. Insurance: $1,000,000 - Covers Legal Liability as a result of business operation on the premises of others (venue) as respects to "bodily injury", "property damage" and "personal & advertising injury" occurring during the policy period. Coverage is limited to those venues at which you provide a service. Juggling, physical comedy, escape artistry, crazy stunts, and lots of audience participation - perfect for all ages! "A highly energetic and innovative act!" I can perform in just about any space imaginable, and I also provide my own sound. The ideal space is a stage or open floor with lighting, and high ceilings. But if you are concerned about your space, get in touch and I'm sure I can adapt my show to fit your needs!